Find hotel near Ayvalik Rahmi M. Koc Muze .. 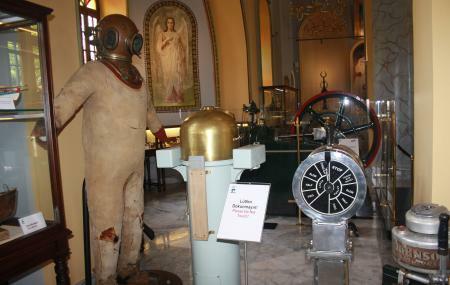 This children’s toy museum is an unexpected surprise to most who visit Ayvalik. The toys are exhibited in prettily lit glass cases. The museum is hosted inside the charming Taksiyarhis Church. Most of toys consist of vehicles, steam boats and dolls. Check out the museum cafe and shop. How popular is Ayvalik Rahmi M. Koc Muzesi? People normally club together Taksiyarhis Kilisesi and Sarimsakli Plaj while planning their visit to Ayvalik Rahmi M. Koc Muzesi.